The non-provisional patent application covers various facets of the network, but perhaps most importantly the multi-purpose Supernode layer which acts as the “pre-frontal cortex” of the network, handling super-fast sale and interchange transactions. Why did we file this patent? 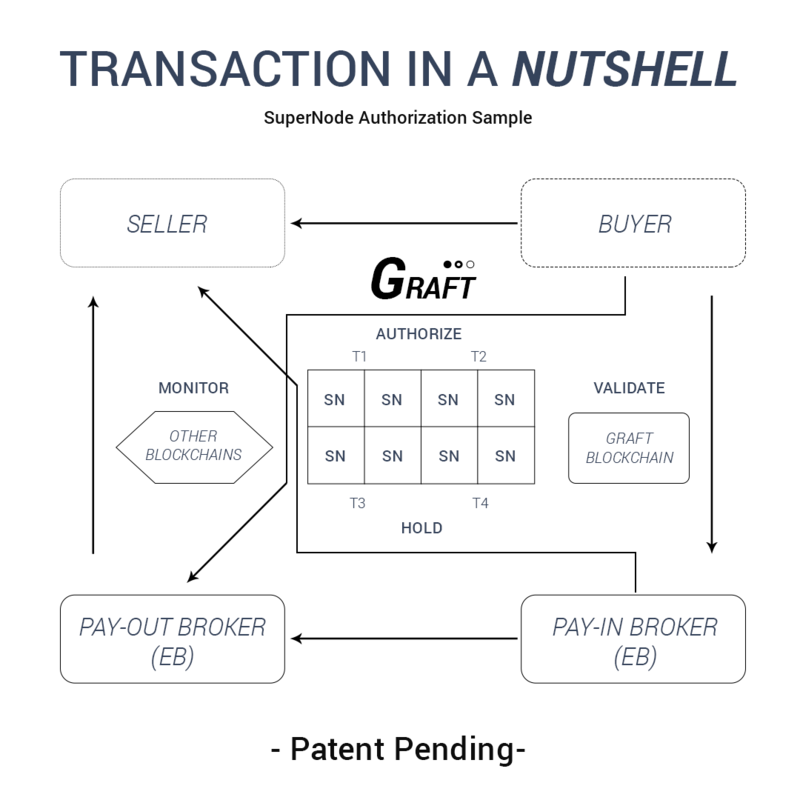 With the recent patent activity in the field of blockchain-enabled payments we felt compelled to protect GRAFT project and its eco-system participants from potential IP related encumbrances. Since it has been close to a year since we published the original white paper, it was the right time to get this done. We hope the patent will help secure “freedom to operate” protection from patent claims in the future. While decentralization is at odds with patent systems in general, the system participants such as merchants, service, technology, and distribution providers might be interested in getting extra protection in the jurisdictions where they operate. * Additionally the patent opens up potential licensing opportunities for private (non-competing) uses of the code, providing the project with additional revenue streams to help sustain operations and ongoing research and development.